Speak of the devil, and he shall appear! The conqueror of Gotham City stands triumphant in this PVC statue based on the Dark Knight Rises! 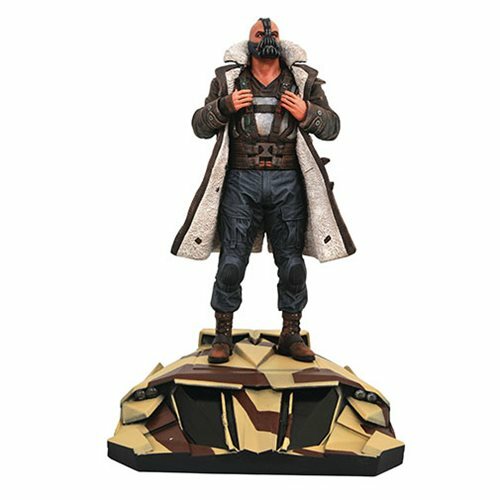 Depicting Bane standing on the roof of his camouflage tumbler vehicle, this sculpture by RoccoTartamella was based on a design by Shawn Knapp. The DC Movie Gallery The Dark Knight Rises Bane Statue stands approximately 11-inches tall, is made of high-grade plastic, features detailed paint applications, and comes packaged in a full-color window box.